Reviews of the Canon PowerShot G16 from around the web. On the surface the Canon PowerShot G16 appears to be a near doppleganger of its predecessor, the G15. Aside from a few minor differences in button functions and the model badge the two cameras are identical in shape and function. But underneath the hood is a new image processor that enhances video quality and improves burst shooting speed, and Wi-Fi has been added as well. The Canon Powershot G16 updates the Canon Powershot G15 with built in Wi-Fi and a number of other new features, including Star shot, handheld HDR, background defocus and more, and is one of very few cameras that still feature an optical viewfinder, with others either switching to an electronic viewfinder or doing without one altogether. 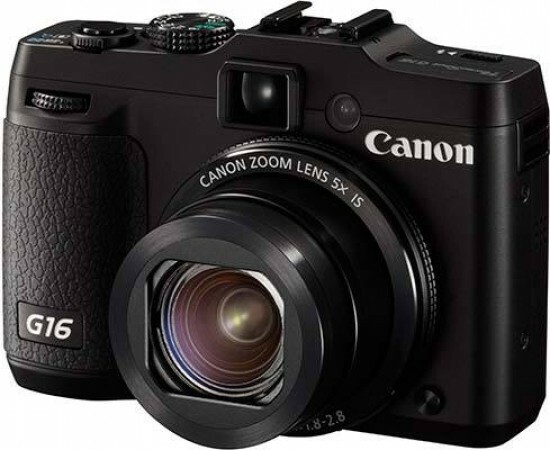 The Canon PowerShot G16 is the latest in a long line of chunky compacts aimed at the demands of enthusiasts. Announced in August 2013 it's the replacement for the PowerShot G15. The G series has earned a reputation as a serious compact with image quality, performance and handling that won't disappoint those who'd probably rather be using a DSLR were it not for the bulk.